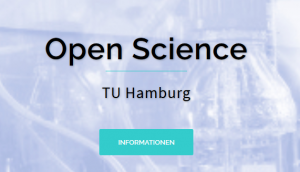 Hamburg wants Open Science! And we want competent people who work with us on this for the TU Hamburg. Initially for 12 months, but hopefully two more years afterwards. With the Hamburg Open Science (HOS) programme, Hamburg is implementing a strategy for the expansion of Open Access and Open Science that has been developed across universities. The University of Hamburg (UHH), the Technical University of Hamburg (TUHH), the Hamburg University of Applied Sciences (HAW) and many other universities are involved. From 2018 onwards, implementation will be carried out jointly in the institutions within the framework of the following four programme lines: Open Access publications, research data management, research information systems and the design of digital cultural change. The TUHH Open Science (TOS) project group is being set up at the TUHH for research data management and research information system. This is also where the HOS research data management program line is managed. Conception and implementation of a prototype for a research information system based on the open source software DSpace-CRIS. Conception and implementation of a prototype for an institutional research data repository also based on the open source software DSpace-CRIS. This entry was posted in News, Open Access, University and tagged Hamburg Open Science, research data by Beate Rajski. Bookmark the permalink.